Starbreeze Studios has posted a pre-tax loss of $11.3 million for Q3 2018. That figure is three times greater than the $3.9 million loss posted for the same period last year. Additionally, net sales declined 45 per cent year-on-year to $3.7 million. Starbreeze sold off publishing rights to Dead by Daylight earlier this summer, anticipating the loss in revenue for Q3 accordingly. That left 2013’s Payday 2 as Starbreeze’ breadwinner, with its $2.9 million in sales accounting for roughly two-thirds of the publisher’s revenue. 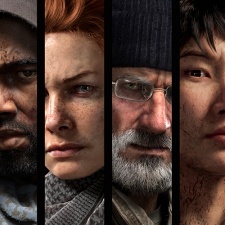 But Starbreeze CEO Bo Andersson Klint is confident that the company will be able to turn things around, starting with today’s release of Overkill’s The Walking Dead. "Today's the day of our biggest release since Payday 2 more than five years ago," said Klint. "Overkill's The Walking Dead is an important release for Starbreeze and is obviously our main focus right now. "The game is the first we are releasing of the eight major games we have invested in to establish Starbreeze as a major and successful game company that is in it for the long haul." Starbreeze posted a net loss of EBITDA of $4.1 million for Q3 2018, a 60 per cent increase year-over-year. But EBITA for the year so far is sitting at a $7 million profit, up from last year’s $6.6 million loss.